Increasing access to healthier, more climate-friendly foods across the country. How and what we eat is changing. 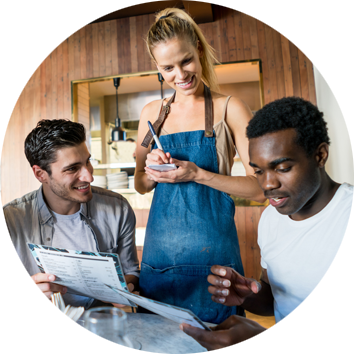 For the first time in history, people are eating out more than cooking at home. And we’re also changing what we eat. In fact, according to a recent study, more than half of restaurant customers are eating more fruits and vegetables than a year ago. Environment: Industrial animal agriculture is also bad news for the planet and all the living things that call it home. Right now, we’re in the midst of a sixth wave of extinction, with a predicted 30-50% of species leaving us by mid-century. 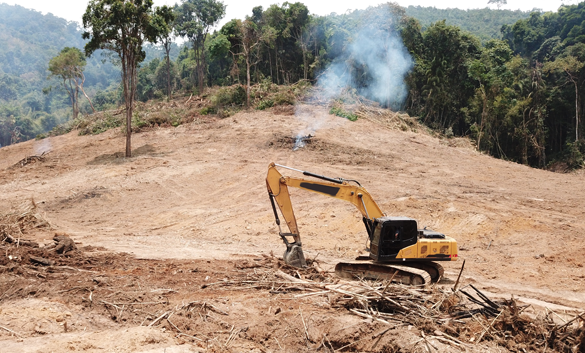 To paint a picture, recent studies show that animal agriculture is the leading driver of mass extinction as ancient forests — the lungs of our planet — and other natural habitats are used for grazing and to grow livestock feed. Additionally, animal agriculture is the #2 contributor to human-caused greenhouse gases (climate change!) and the largest contributor to deforestation, water usage and pollution, and dead zones in the ocean. Health: While our habits are changing, chronic illness is still on the rise. 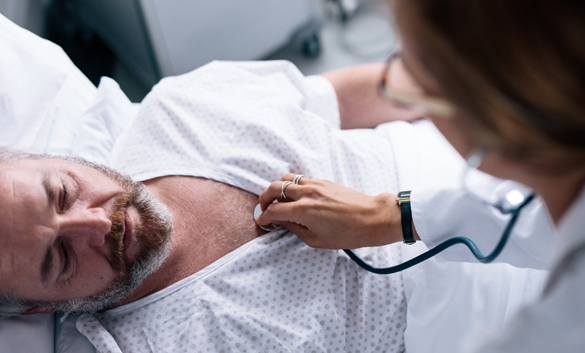 One of the main culprits is our meat- and dairy-heavy diets, which dramatically increase the risk of type II diabetes, heart disease and several cancers. The science is clear. Corporate meat and dairy production is just plain bad for your health, your community and the environment. Help change menus in your town! 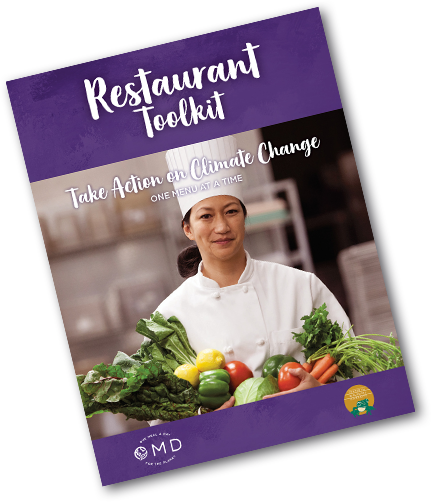 Together, we’ve created a Restaurant Toolkit to support people like you to get more plant-based options on menus at your favorite restaurants across the country. Once you download the toolkit, our OMD Outreach Manager will follow up and provide you with one-on-one guidance and coaching. System change is a process, but it’s more successful — and fun — when done in community. That’s what we’re all about! Take action. To get the toolkit sent to your inbox, please fill out the form below. 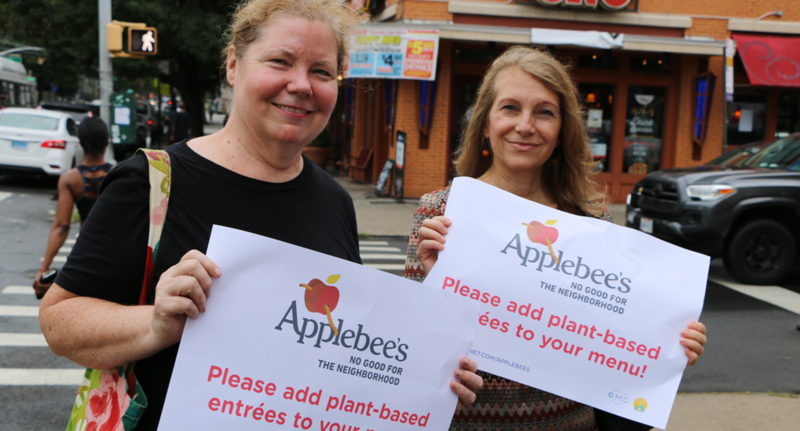 Encourage Applebee’s to add plant-based entrées! 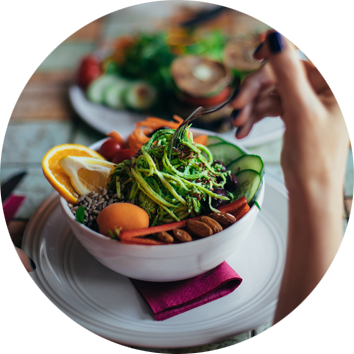 OMD and the Center for Biological Diversity are also working together to target the major U.S. restaurant chain, Applebee’s, to add plant-based entrée options to all its menus, not just to those in select states. Right now, it’s piloting a vegan burger at select New York and California locations, but we know it can do better. 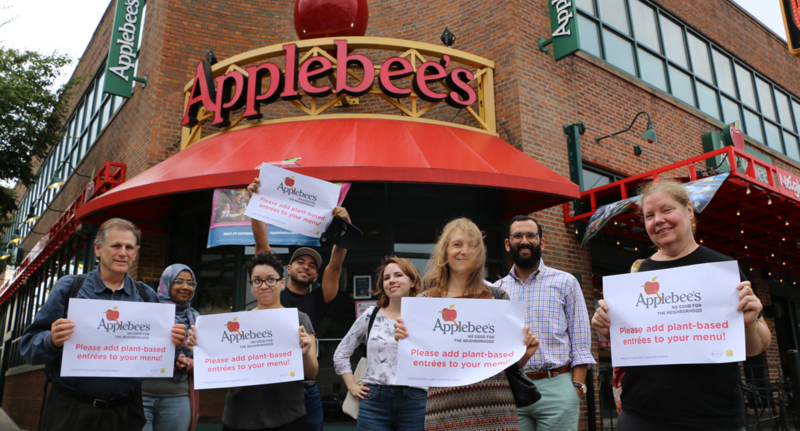 Now is the time for us to use our voices and encourage Applebee’s to roll out meat- and dairy-free options across all 50 states. Want to help? 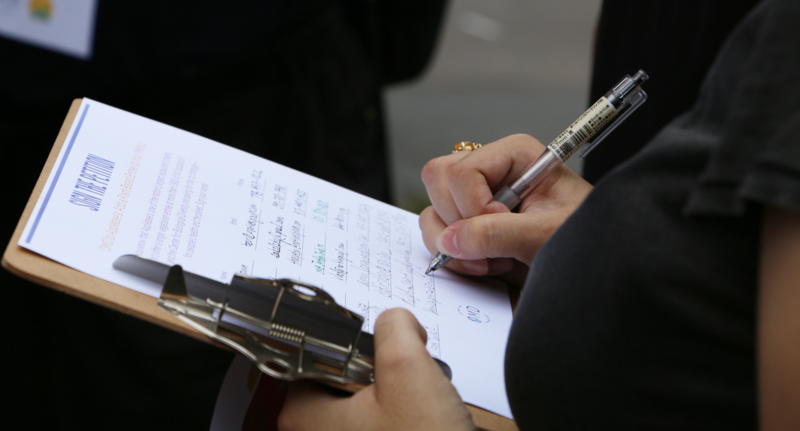 Sign the petition and stand up for better food access. Learn about the OMD community pilot program! OMD is also piloting a program on the ground in North Carolina, the state with the highest concentration of factory farms in the United States. Our OMD Field Organizer is on the ground making connections to support local communities shift toward healthier, climate-friendly foods. 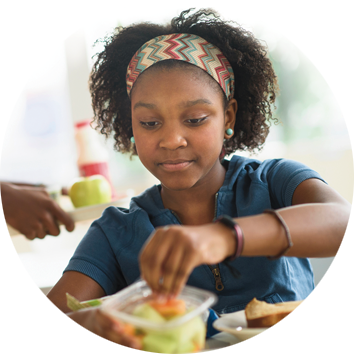 To learn more about our community organizing work to change restaurant menus and school lunch programs in North Carolina, visit this page.